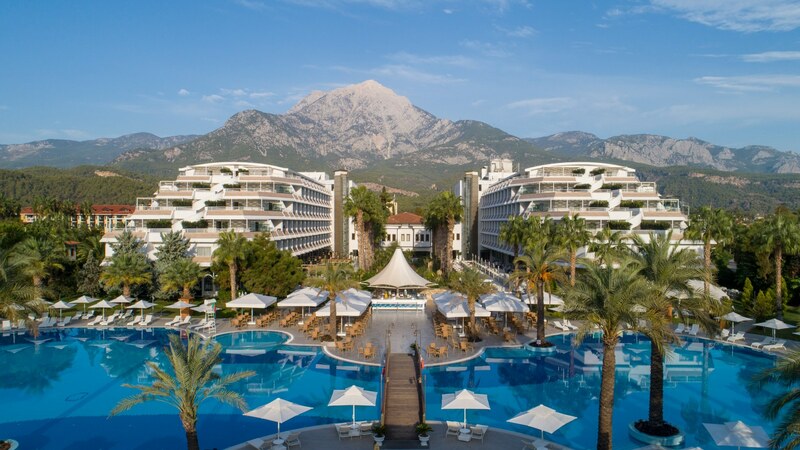 Queen’s Park Resort & Spa is a five star hotel located in the heart of Tekirova where the sea and the nature meets with the unique mountain view at the background. It is placed on 60.000 m² green land with a wide front-line right on the beach. 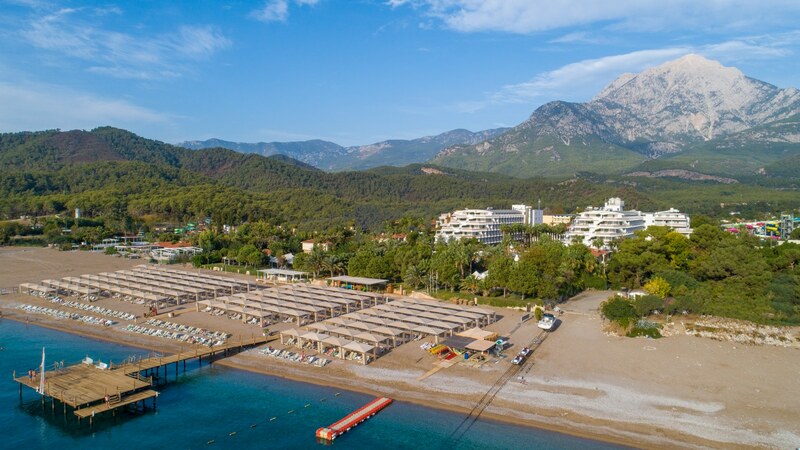 Queen’s Park Resort & Spa is 60km from Antalya International Airport and surrounded with Phaselis and Olympos Antique Cities, Tahtalı Mountain and Three Islands Diving Site which all are world famous historical and touristic places. 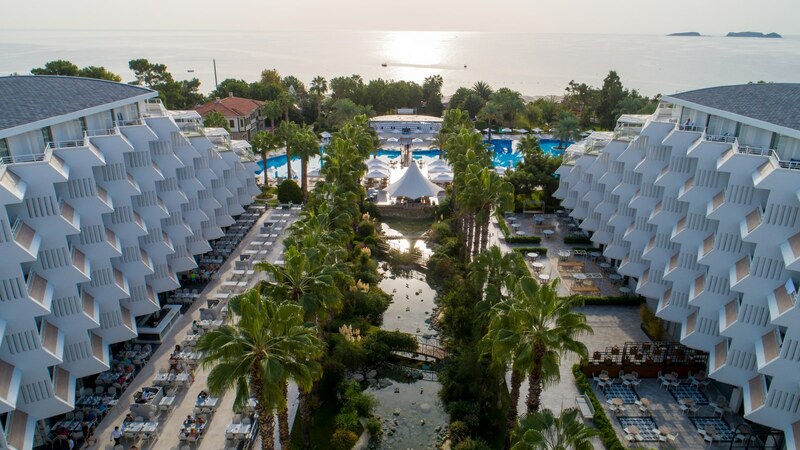 Queen’s Park Resort & Spa with its Blue Flag certified large beach, swimming pools and several activity selections are promissing a peaceful and enjoyable vacation where you can explore the beauty of Mediterranean.